So, in a nutshell, lung cancer represents a real and staggering health problem in Canada and many oncology centres in Canada such as the Princess Margaret Cancer Centre and Sunnybrook Cancer Centre are actively recruiting patients for research on lung cancer to achieve better control of this aggressive disease. Schonwolf et al (2019) from the University of Pennsylvania https://www.clinical-lung-cancer.com/article/S1525-7304(18)30237-7/fulltext published their research in the Clinical Lung Cancer Journal, on medically inoperable early stages of None Small Cell Lung Cancer (NSCL) lung cancer (stages T1-2a N0M0). 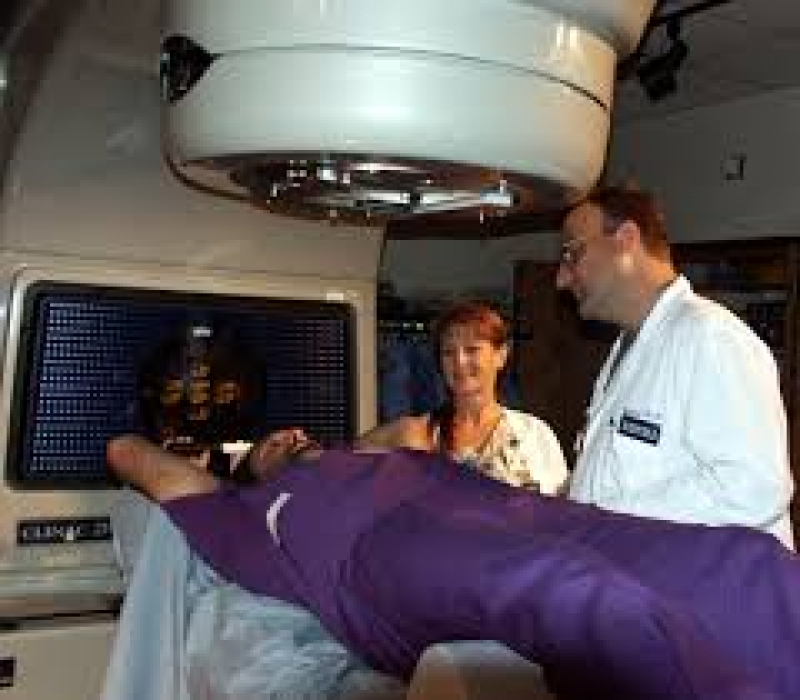 They compared two different groups of patients with the same stage, one group was medically inoperable, and was given a special type of radiation therapy called Stereotactic Body Radiation Therapy (SBRT) which is delivered using a highly sophisticated software and an image-guided radiation therapy (IGRT) technology to account for the lung and other internal organ movements during radiation therapy. The biological equivalent dose was as high as 100 Gy which could never be administered by the usual (conformal) radiation therapy technique and was given under a different fractionation schedule. On the other hand, the other group were operable, so they had surgery as the primary treatment. Patient recruitment and treatment started in June 2009, to July 2013. A comparison was done between the two different treatments (advanced radiation therapy versus surgery), and they were quite similar regarding the 5 years outcomes ( local control, nodal failure, distant failure or Cancer-Specific Survival), however, the overall survival was slightly (not statistically significant) in favour of the operative group. The Advanced Radiation Therapy Technique (SBRT) for early stages of none operable Lung Cancer represent a new and exciting treatment modality for patients with None Small Cell Lung Cancer who deemed inoperable and in the future, it can be the standard of care for Early None Operable Lung Cancer cases. Do immunity and immune therapy benefit lung cancer patients? How can Naturopathic Medicine Help Improve the Immune System of Lung Cancer Patients? There are several ways the Naturopathic Medicine can help support the Immune System of Lung Cancer Patients such as improving the amount of amino acids in the body and optimizing its concentration as they are the building blocks of the immune system. One other way is the use of Medicinal Mushrooms such as the Turkey Tail Mushroom and Ganoderma Lucidum (Reishi Mushroom). The use of other interventions such as an Intravenous Treatments and Immune support effects of the Helixor are other highly promising means of immune system support.